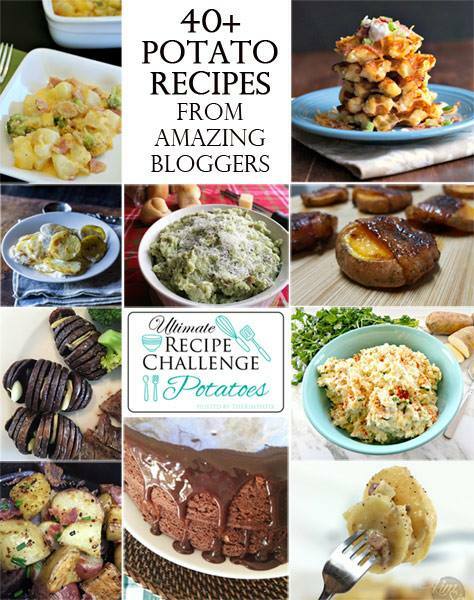 I’ve teamed up with some awesome bloggers for a recipe challenge today. The theme this month was potatoes so we each came up with our own take on a potato recipe. I had this awesome idea to make my own tater tots (for those of you here in the Pacific Northwest: I love my Taco Time Mexi-Fries so I was going to try and replicate them). Well, my kitchen had a WHOLE other idea about that and they turned into an epic failure. Now I have a bowl full of shredded potatoes and was quickly running out of daylight to take photos of my awesome-possom recipe, so I searched through my pantry for inspiration and came up with a “clear the pantry potato hash and vegetable casserole”. 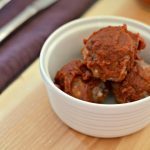 This recipe is VERY forgiving and can easily be personalized to whatever you are in the mood for that evening. 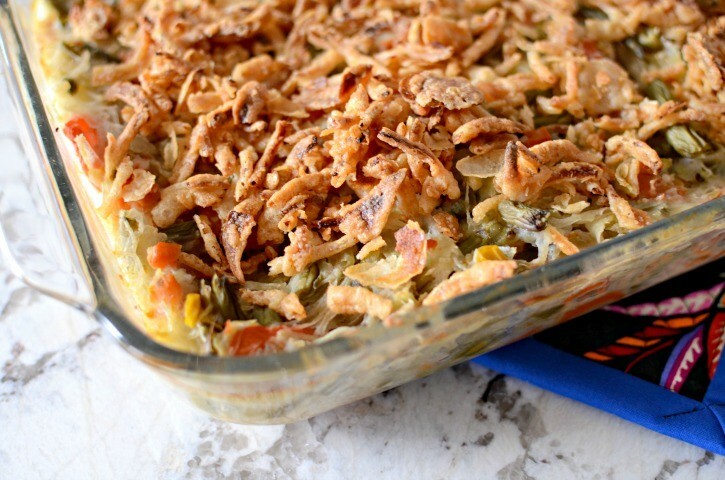 Clear the pantry out with this super easy potato and vegetable casserole. In a small saucepan, melt the butter, whisk in the milk & flour until thickened. Cook at 375 for 30 minutes, or until bubbling. 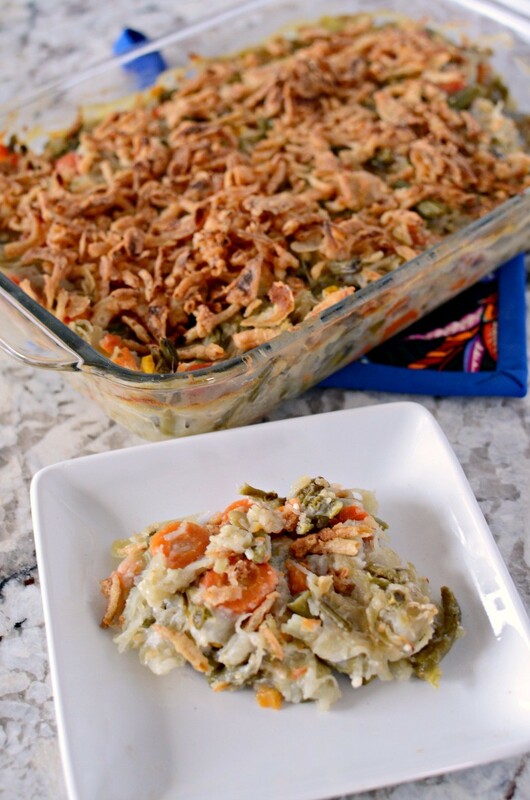 I used sliced carrots, green beans, and mixed veggies in my casserole because it was what I had; but this is where the recipe is so forgiven – you can use whatever you want! If you have fresh veggies available they would be a welcome sight in here as well! I topped mine with some onion strings, because those things are pretty much required on all casseroles. Ready to see some more awesome potato recipes? 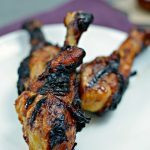 Check out the 40+ recipes that are linked below! Oh this so reminds of the way you eat post thanksgiving leftovers.. What a delicious combination! 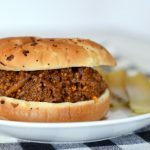 Yum – looks delish and easy to make! My kind of recipe – pinned for later! Visiting from the Ultimate Recipe Challenge blog hop! Yum! I can’t wait to try this. I love anything with potatoes! This looks SO good and so easy to make! I think even I could do it! What a wonderful twist on the traditional potato casserole. It looks so delish. CAn’t wait to try. 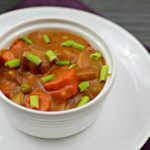 Stopping by from The Ultimate REcipe Challenge. What a yummy combination. I’m a vegetable lover so this is right up my alley. I am loving all the flavors and the various spices. My family will love this! !